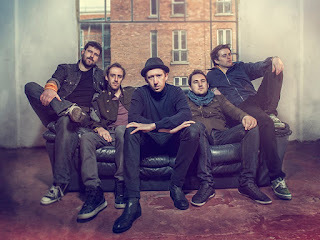 Irish pop-rockers JUPE were on top form to delight a full house at The Garage on Wednesday night with new hits from their upcoming album. It was the boy’s first gig in London and they definitely made their mark. The band started off early with their new breakthrough single ‘Rocket’ which is a totally addictive hit and gets stuck in your head for the rest of the evening. The band were definitely comftbable on stage and in their element performing for the first time at the famous Garage venue in Islington. With similarities to The Fray and The Script, lead singer Tim Night’s vocals and stage presence definitely stand out as a name to listen out for in next few months as the band head over to the UK to promote their music. It’s not often that you go to see a band for the first time and come home knowing all the words to the songs. This is the secret to this band, the catchy lyrics and memorable choruses mixed together with their Irish charm allow all the tracks to flow perfectly into each other. The 5 piece performed other songs including; Secret, Green Light and Can’t Get Enough. My personal favourite song was the penultimate one of the evening “Across the World”. It is a real audience song, especially the chorus which had everyone’s arms in the air and dancing along. The band had won over everyone by the final song and was most definitely one of the best gigs I have seen in while from a new band that were performing in London for the first time.